For me, I get just as excited as Valentine’s Day breakfast as I do the dessert and dinner recipes. I mean, really, how fun is a special breakfast? The kids love it. My husband loves it. I love it. 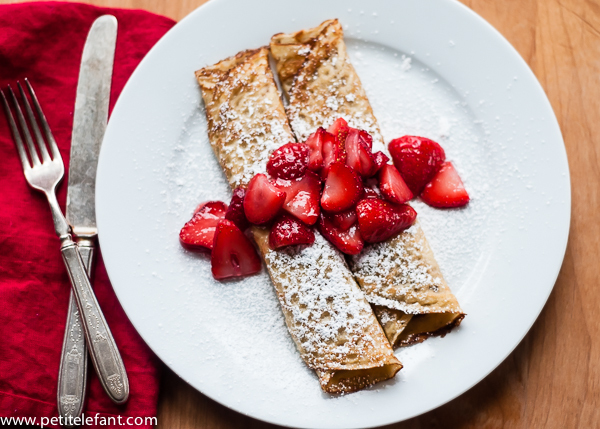 Crepes seem like they are too fancy for a weekday breakfast, but it’s completely not true! 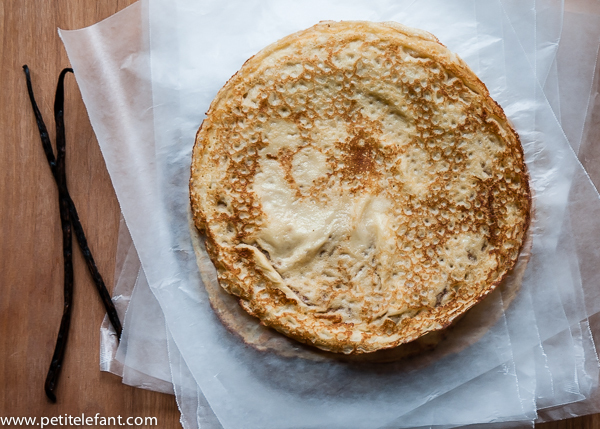 With this crepes recipe, you can make the batter the night before, and all you need after that is a really great nonstick skillet and loads of butter. You could even make them in advance, layer them between sheets of waxed paper, and reheat in the morning. 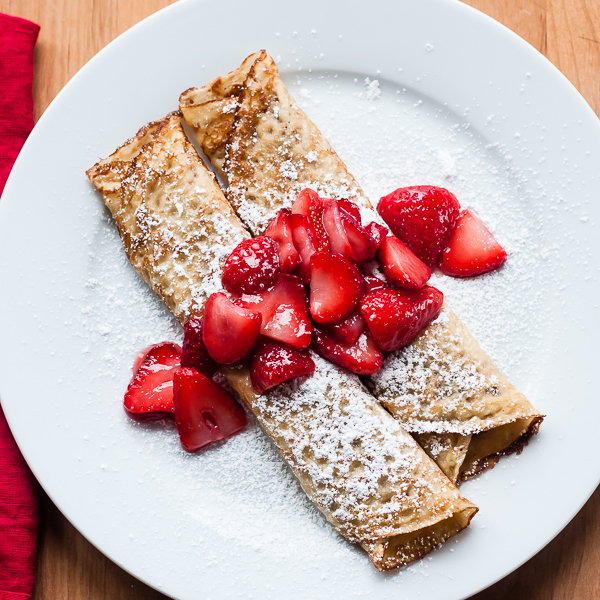 Plain crepes are great, but adding vanilla bean takes them up a notch and adds a little special V-Day flair. These are filled with a lightly strawberry cream which is nothing more than your favorite strawberry jam mixed with low-fat cream cheese. Simple and easy. That’s how we like it. 1. 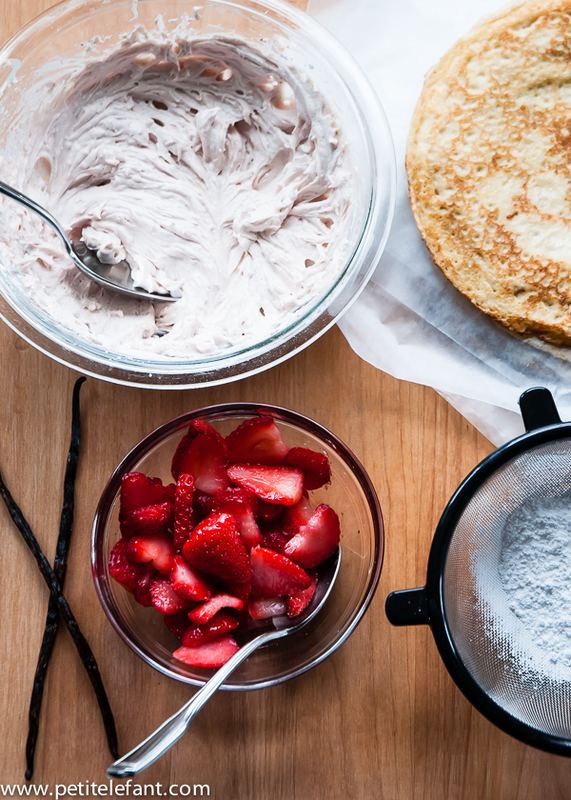 Place all crepe ingredients into a blender and puree until very smooth and lump-free. Transfer to a pitcher or large measuring cup, cover with plastic wrap, and chill for 30 minutes, or up to 2 days. 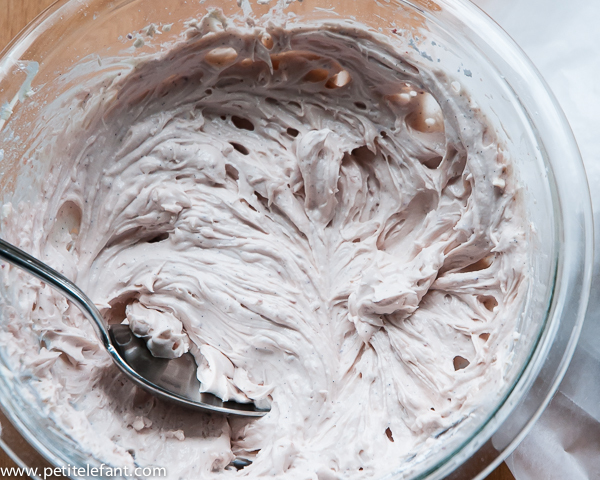 Beat cream cheese with an electric mixer until smooth. Add the jam and vanilla bean paste. Beat again until fluffy and creamy. Set aside until ready to use, or store in the fridge for up to 1 week. 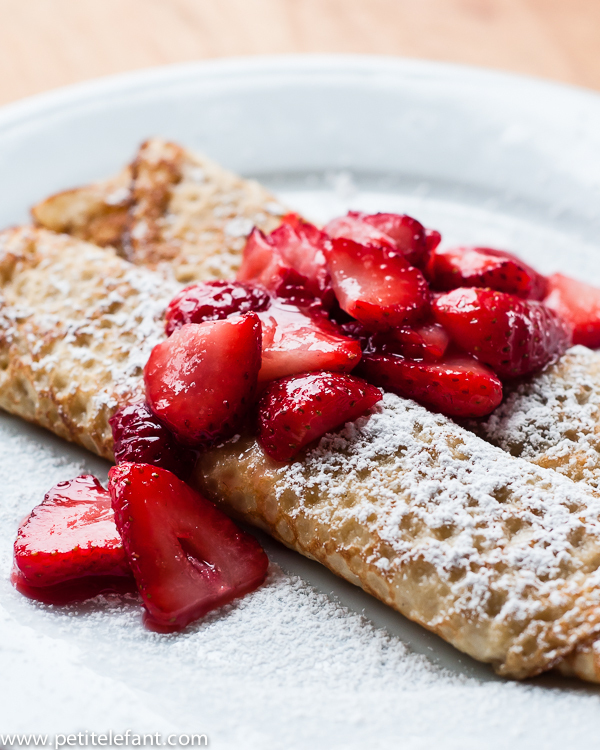 Spoon 1-2 Tablespoons of the strawberry cream into the center of a crepe. Roll up and dust with powdered sugar. I have read your blog post and it was really amazing! thanks for sharing this awesome contents. I will back to read your more contents.